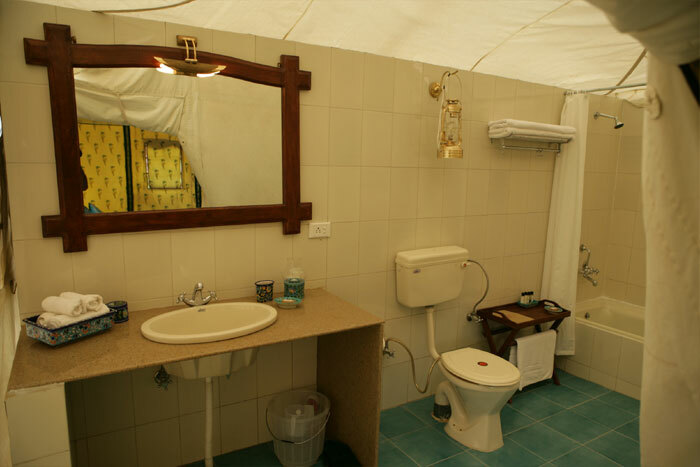 Our Resort tents & Retreat Tents are made from the best quality waterproof fabrics, keeping in mind the preservation of nature. 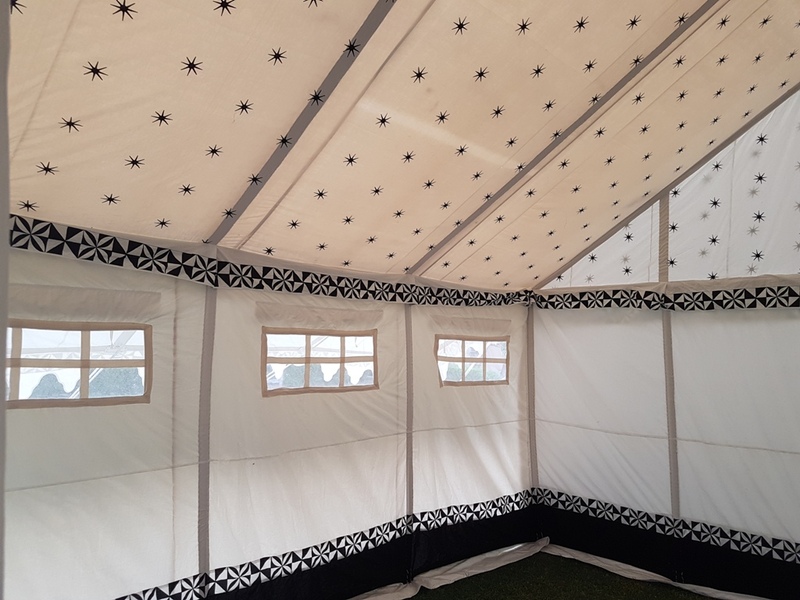 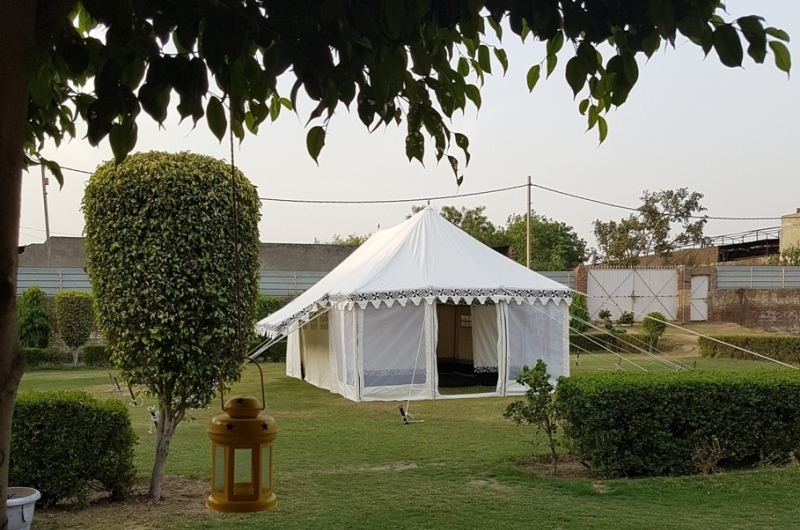 Our environment friendly tents have been designed to specially promote eco tourism and preserve the green belt areas, where construction is banned by government. 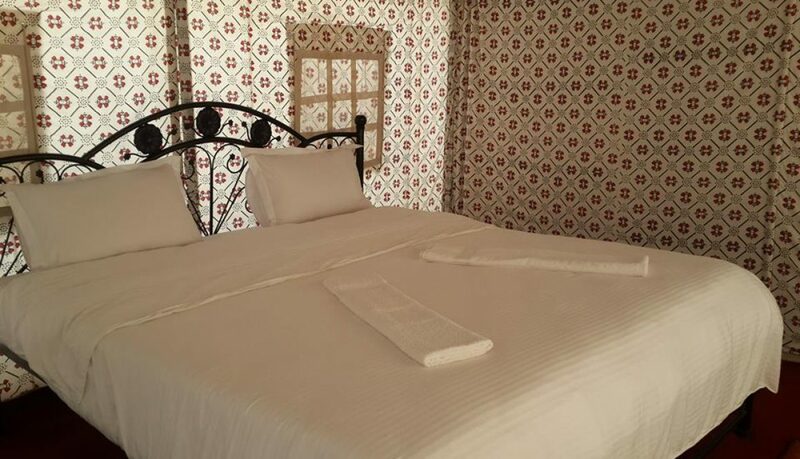 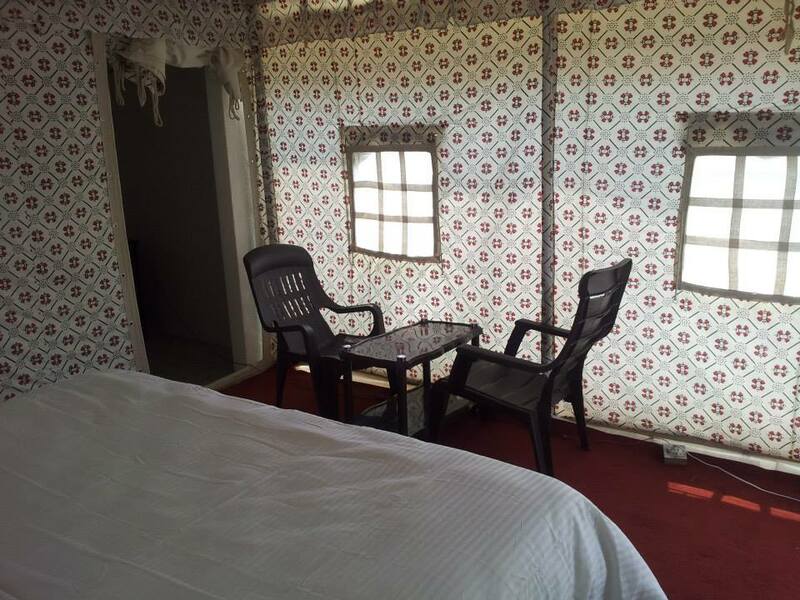 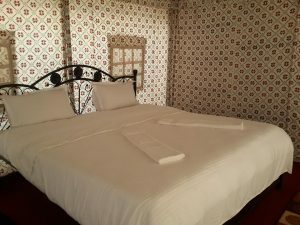 Our living cottages are very comfortable for over night stays on holidays. 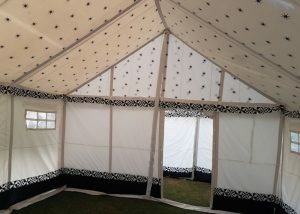 We also undertake customized tents, and all our tents & marquees are tailor made to suit your requirements. 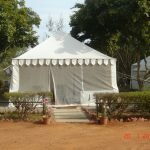 We also make, dining tents for hotels, food stall tents, cabanas, terrace tents for restaurants & hotels. 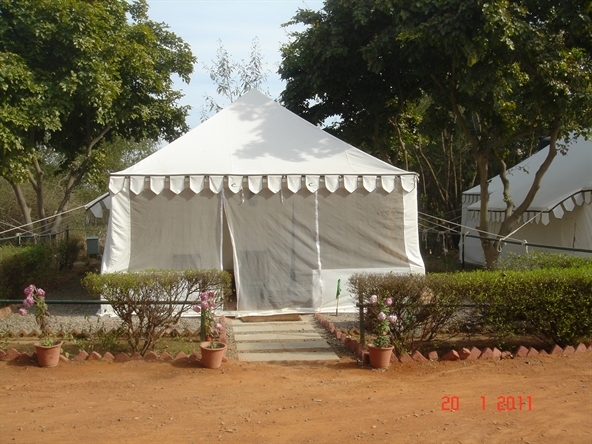 Contact us today to customize your resort tents for your dream project. 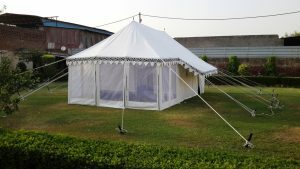 Our very talented design team will note down all your requirements and specifications and suggest the best tent models for you. 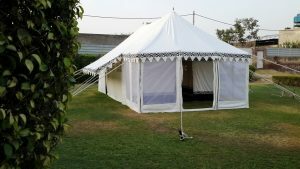 You can choose from our exclusive rage of Luxury Swiss Cottage Tents, Jungle Safari Tents, Darbari Mahal Tents & Goa Tents for Resorts. 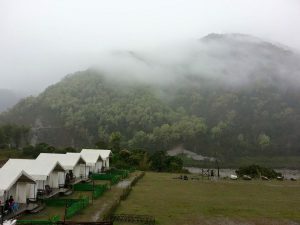 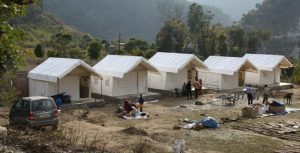 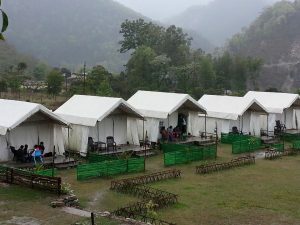 This Resort Tents Project was under taken by us in Uttrakhand. 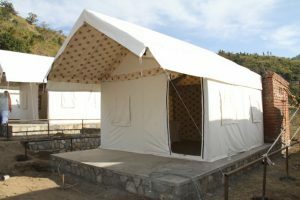 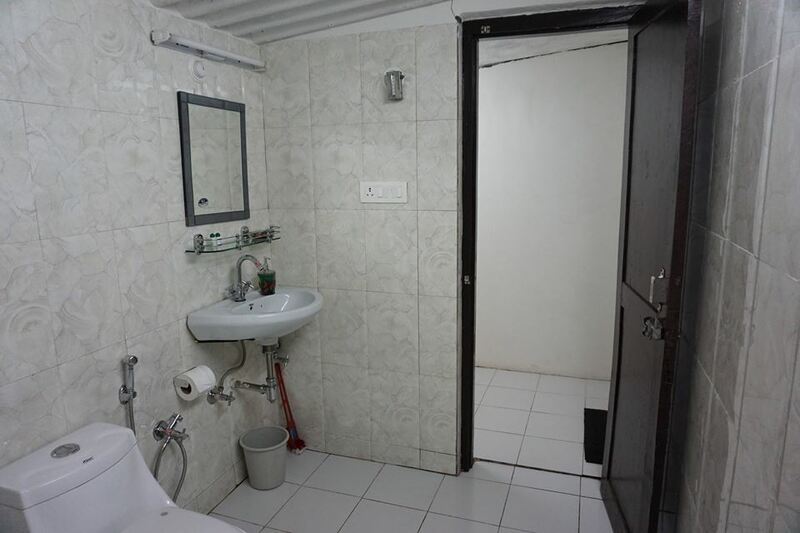 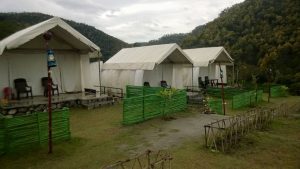 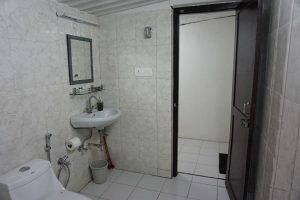 Each Tent consists of a Veranda or a porch in the front, and Bed Room in the Middle and a Permanent Bathroom at the back. 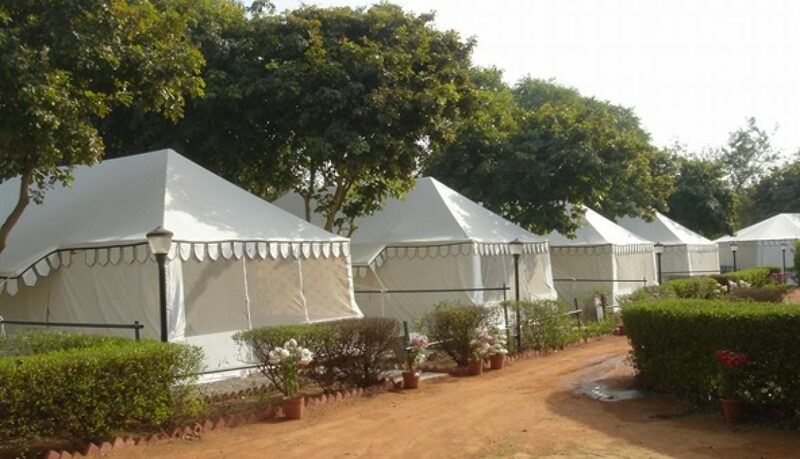 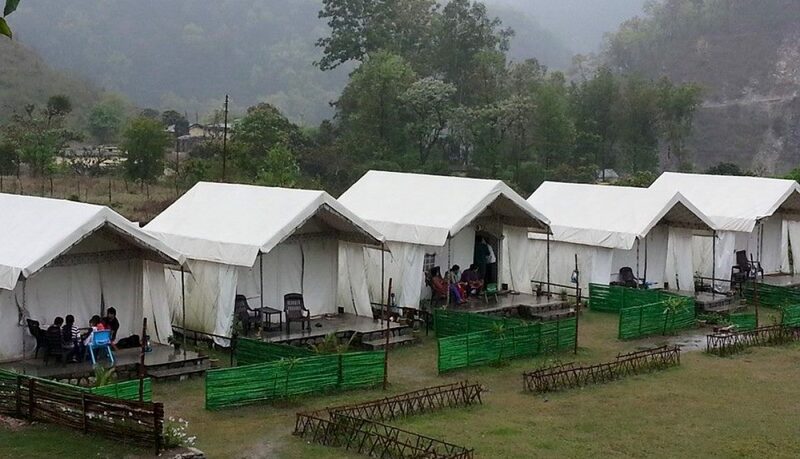 Our tent erection team went all the way to Uttarkhand from Delhi to install these Resort Tents at the Client site. 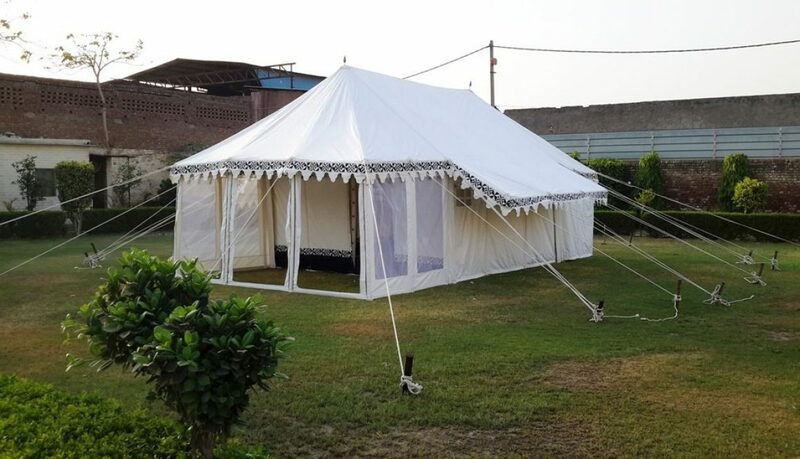 We are the Leading tents & Marquees manufacturers and exporters of Luxury Resorts Tents and we have a credit of supplying our Best Quality Tents to many Resorts and Hotels in the USA, UK, Europe, Australia, New Zealand and many more countries of the World. We have also worked for many prestigious Indian Hotels as CGR ITC, Ram Bagh Palace in Jaipur, Arif Castel Hotels, Select Hotel in Manaser just to name a few.